Getting an easy loan in any part of India is now convenient. Thanks to the online lenders and the availability of cash credit. Quick loans have made peoples life easier when they are in need of cash. One can take a personal loan in Meerut with minimum documentation with cash loan apps. You can find apps like CASHe online. It allows user to get a loan from any part of the country. The entire transaction and the process is carried out online. You don’t have to visit any bank or physical branch to apply for a cash loan. These are unsecured quick loans that don’t require any security deposits or collaterals. People prefer taking an easy loan via cash loan apps because the process is much faster than the traditional bank loans. 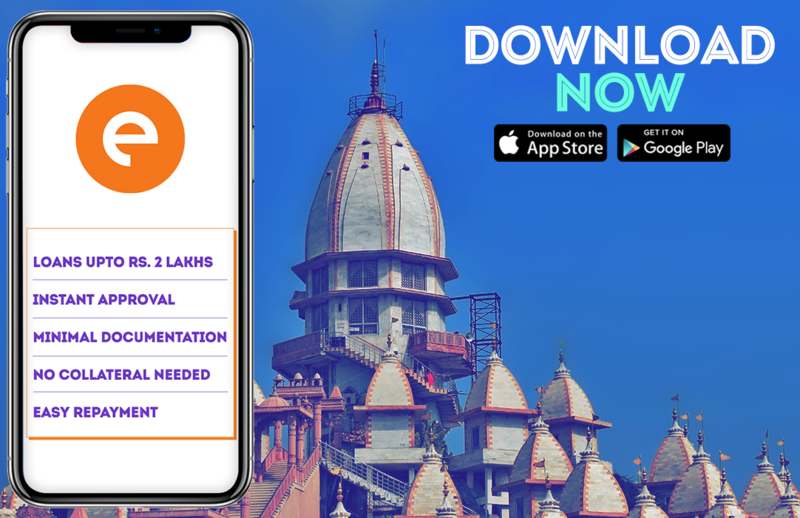 If you are wondering how to get a personal loan in Meerut via online cash loan apps, follow the below steps to understand the process. The first step is to download the easy loan app on your phone. Keep in mind that you will need a smartphone and working internet connection to do so. The app can be downloaded from Google play store and Apple app store. The app will then ask you to register yourself and make your profile. This can be done via your social media accounts like Facebook, Google plus or LinkedIn. This is the most important step on the application process. The loan eligibility and approval depends on the documents. The documents required to avail a cash loan are very simple and are available with most of us. Find the list of documents required to get a personal loan in Meerut on the FAQs section. Once you upload the documents from your smartphone submit it to the app and let the lender verify the documents. Once the verification process is done the app will notify you about the same. This is the step where you enter your loan details. The app will ask you for your desired loan amount and the duration of the loan. You can take a loan starting from INR 10,000 to INR 2 lakhs. The duration of instant loans can be 15, 30, 90 or 180 days. Submit all the details and let the app get back to you with the status. It takes couple of hours for the easy loan app to approve or disapprove your loan request. Once the quick loan is approved the money is disbursed into your personal savings account within few minutes. What to do when the loan gets disapproved? You can check the reason of disapproval, rectify it and can apply again for an easy loan. With online apps you can apply for a personal loan in Meerut multiple times with stating the reason for getting a loan.